We’ve added a Contents page (see the tab along the top) to make it easier for you to find past EcoFriendly Sask articles. 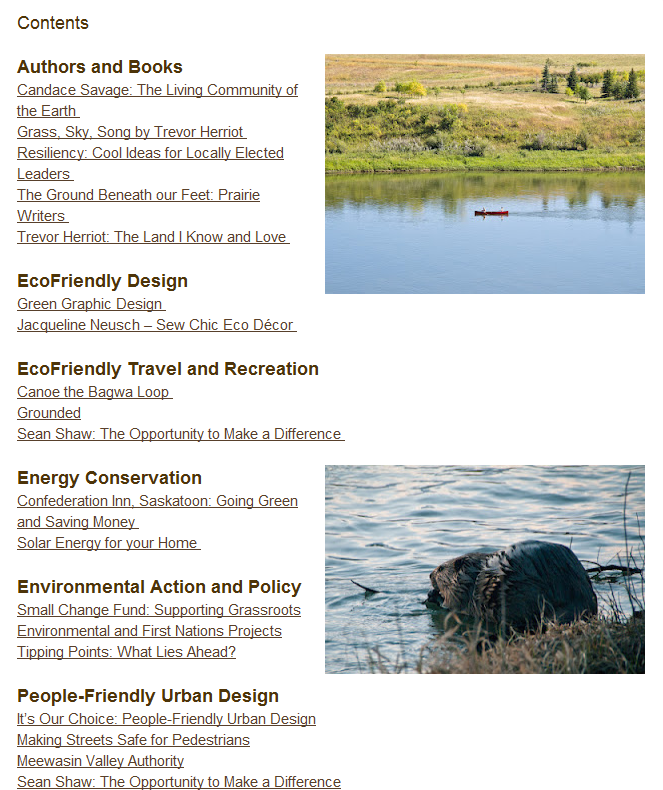 EcoFriendly Sask is always looking for new story ideas. Don’t hesitate to contact us if you have suggestions.